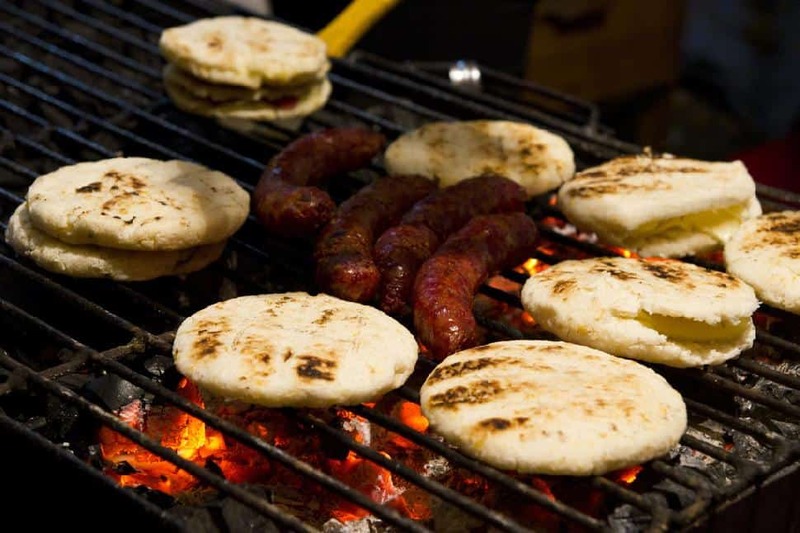 Colombia is one of those countries that invites you to eat your way through it. Some staples can be found in every town and city, while others are more regional and should be enjoyed in their place of origin. Along with the standards of bread and meat, look for a few curious specialties that only the more adventurous will want to attempt. A corn patty, this is what serves as bread for most of the country. It’s a bit thicker than a tortilla, but not quite the size of a cake. Regionally they may be served plain, cooked with cheese or drizzled with sweet milk. 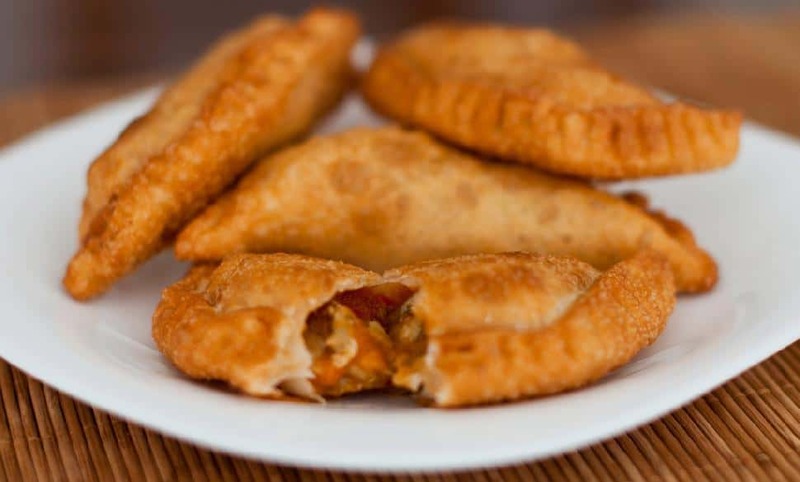 Corn pastries stuffed with meat and cheese that are deep fried and best eaten hot. Variations of these are served all over South America and many types can be found here, although it’s more common to see the baked, flour variety in Canada. Blood sausage with added rice, peas, onions and ingredients to add flavor. These are sometimes served fried or barbecued. 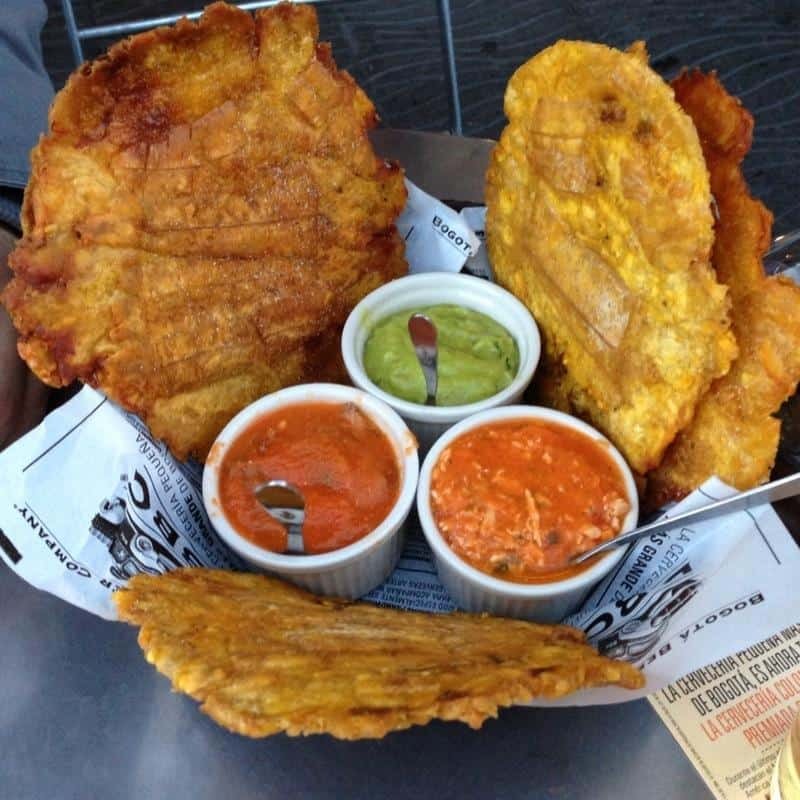 Green plantains that are pressed flat and deep fried until golden brown. These can be served as an appetizer or eaten as a light snack. 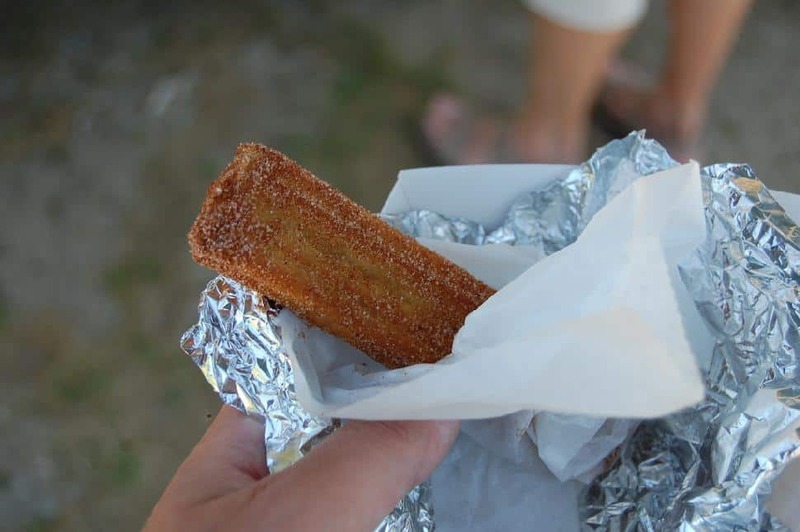 Deep fried bread dough that can be served sweet or savory. Reheated leftovers served for breakfast. 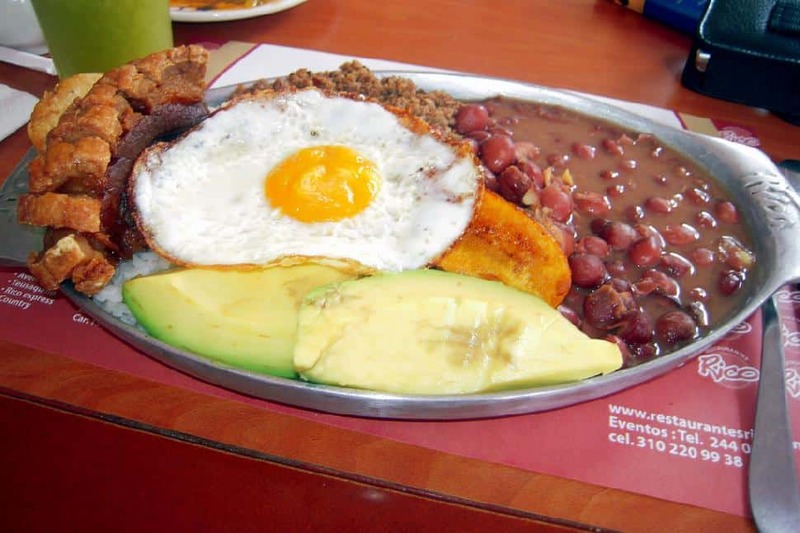 Beans and rice are warmed through and presented with chorizo, arepa and an egg. Everything here is meat-based and this dish is kind of a meat-sampler. It is a lot of food and comes with some mix of beef, egg, chorizo, chicharron, morcilla, rice, beans, plaintain, arepa, empanadas and...a small salad. Oh, can they do soups here! Ajiaco is ubiquitous and often made with chicken although regional differences exist. Mondongo is a rich, heavy soup of tripe (stomach lining or intestines) and packed with rice, banana, avocado and cilantro. Puchero is a lighter soup from Buyaca and is filled with manioc, plantain and meat and served with boiled egg and avocado. In the Andean region you’ll find caldo de costillo - which is beef ribs boiled with potato, garlic and onion and changua - a breakfast soup made of eggs and milk. Fruit – Eat the fruit. Not only will you find more types and varieties than you ever imagined, the climate produces sweet, juicy fruit that is packed with flavour. Arequipa – Milk that’s mixed with sugar and cooked slowly to create a milky caramel. Similar to Dulce de Leche. Manjar Blanco is very similar. Brevas con Arequipa – Fresh or candied figs with a dollop of Arequipa and often served with cheese. 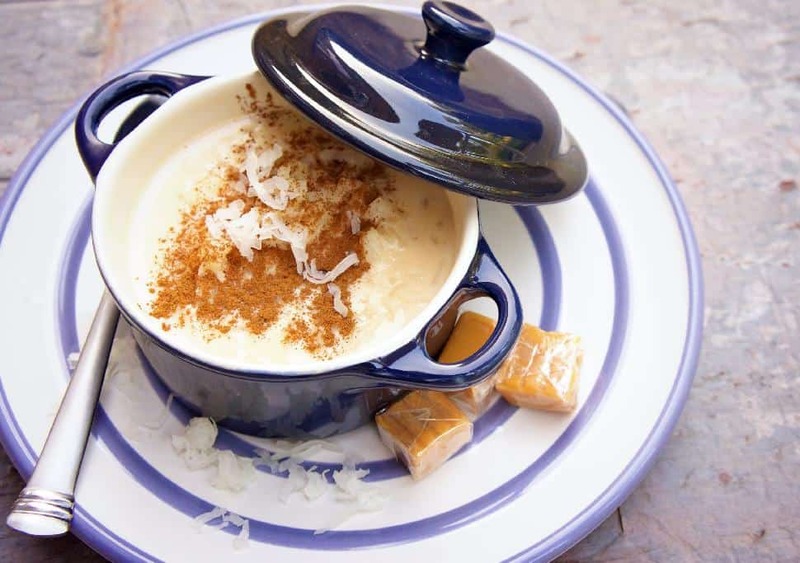 Arroz con coco – Rice pudding made with coconut and cinnamon. Sometimes served as a side dish. Mazamorra de maiz – Kind of like corn pudding, it’s white corn that’s been cooked for hours and then sweetened with sugar and milk. Natilla – Corn starch custard. Many other puddings, custards and flans are made as well. Coffee (tinto) – The best beans come from Colombia and you can find some seriously tasty coffee here. Hot chocolate – A rich, creamy beverage that is made with milk and bars of chocolate, this is not as sweet as the North American drink. It’s often served with a slice of cheese that is dropped into the drink in chunks and fished out with a big spoon that lets you get a slurp of chocolate along with the hot, melty cheese. Fruit juice – This is served everywhere and is made fresh from in-season fruits. Keep an eye out for smoothie-type drinks made from pureed fruits rather than just juice. 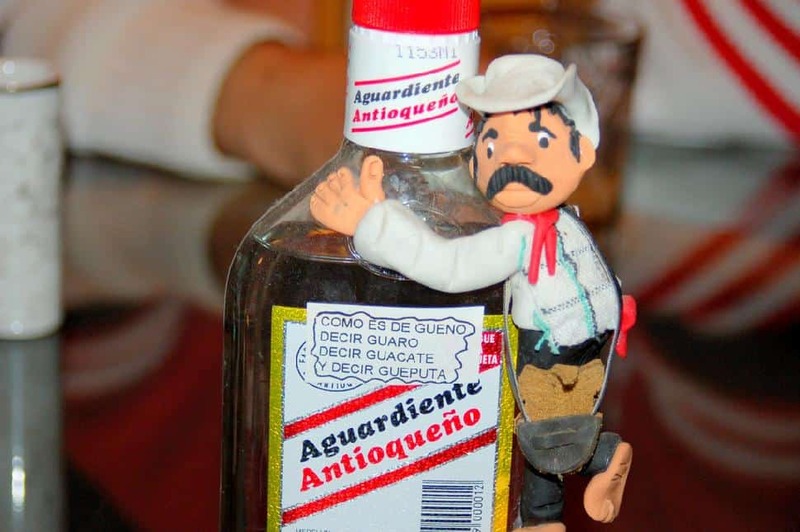 Aguardiente- Fermented sugarcane flavored with anise and usually consumed straight. Adopt the Columbian habit of following each shot with a glass of water if you don’t want to wake up with a raging hangover. Guarapo – Fermented mixed fruit. This can be hit or miss in terms of flavor depending on the fruit used and how well it fermented (as opposed to rotted). All parts of the animal are used when cooking, hence the popularity of blood sausage, tripe and intestines. The animal is often served whole and you will see the entire fish on your dish, or a pig head still attached to the part that is being sliced off. Avoid lechona if you’re squeamish about that. Cavia (cuy) – is roast guinea pig that is presented with the head and feet still attached. Lechona - This is a whole pig stuffed with rice, peas and onions that is roasted for hours and usually served at large gatherings. The body of the pig is sliced and served while the head remains intact. It can be a little gruesome if you aren’t prepared. Have you eaten something wild in Colombia? Let us know - comment below or send us a tweet!